Roasted Chicken Breast Served In A Mushroom Chanterelle Sauce. Royalty Free Stok Fotoğraf, Resimler, Görseller Ve Stok Fotoğrafçılık. Image 61461504. 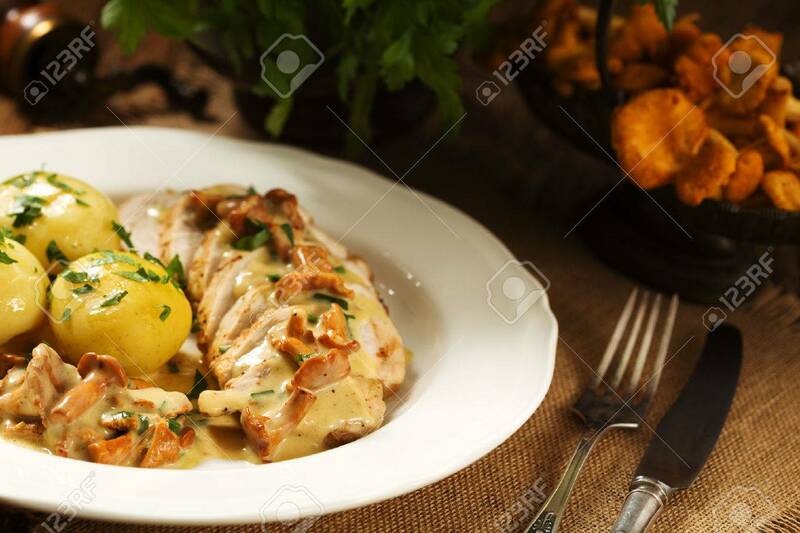 Stok Fotoğraf - Roasted chicken breast served in a mushroom chanterelle sauce. Roasted chicken breast served in a mushroom chanterelle sauce.